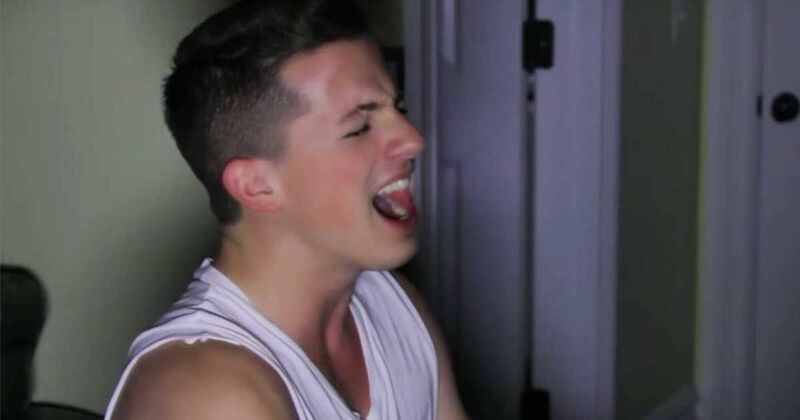 Before Charlie Puth was working with the likes of Wiz Khalifa and Meghan Trainor, he got his start as just another kid posting covers and comedy videos to YouTube. This was back in September of 2009. Somewhere in between, he managed to win a singing competition hosted by Perez Hilton, gain the attention of Ellen Degeneres, get featured on the Ellen Degeneres Show, got signed to Ellen's label 'eleveneleven,' and has built a sturdy and snow-balling career in just a few years. Seeing him perform now isn't quite the same. It's amazing, don't get me wrong -- can we talk about that go-for-it makeout session with Meghan Trainor during their performance of Puth's debut single 'Marvin Gaye' at the 2015 American Music Awards? It was insane. According to an interview Puth did with Entertainment Tonight, he and Trainor were even shocked by how far it went! But before Puth's professional career had truly taken off, he produced those oh-so-recognizable cover videos that don't have any of the fancy bells and whistles to convince people to pay attention. It's just himself, his voice, and a keyboard, and there's something magical about that kind of simplicity. Do you like Puth's original music or his covers better? Leave your opinion in the comments section and be sure to share this cover if it filled you with delicious nostalgia!